Beltran, E.V., Abbott, C. & Jones, J. eds., 2013. Inclusive Language Education and Digital Technology. Multilingual Matters. 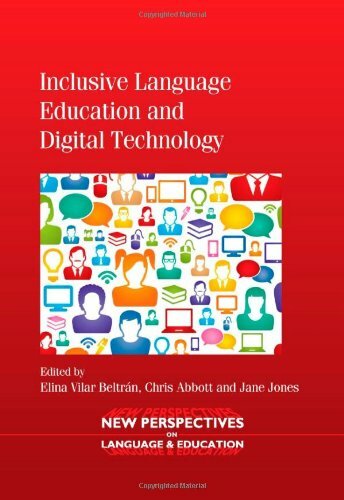 Available at: http://www.amazon.co.uk/Inclusive-Language-Education-Technology-Perspectives/dp/1847699723 [Accessed March 22, 2014]. Boulton, H. & Hramiak, A., 2012. Writing in the Virtual Environment. In L. Clughen & C. Hardy, eds. Writing in the Disciplines: Building Supportive Cultures for Student Writing in UK Higher Education. Emerald Group Publishing Limited, pp. 99–122. Available at: http://www.amazon.co.uk/Writing-Disciplines-Building-Supportive-Education/dp/178052546X [ Accessed January 30, 2014]. At the heart of this chapter, as with the rest of this book, is the student. We will explore how students utilise technology for writing an academic world, and how that usage might change (or not) when the student transfers it to and from their personal world. The advent of technology and its increasing use by so many people in academic context has meant that literacy practices which are viewed in a socio-cultural context must also include that of the digital world, where many students spend a proportion of their time.… These new skills are increasingly being referred to as network literacy, digital literacy and information literacy. Gillespie, H. et al., 2007. Learning Matters: Learning and Teaching with Virtual Learning Environments. Learning Matters. Available at: http://www.uk.sagepub.com/textbooks/Book238333 [Accessed January 28, 2014]. Goodson, I.F., Loveless, A.M. & Stephens, D. eds., 2012. Explorations in Narrative Research. Sense Publishers. 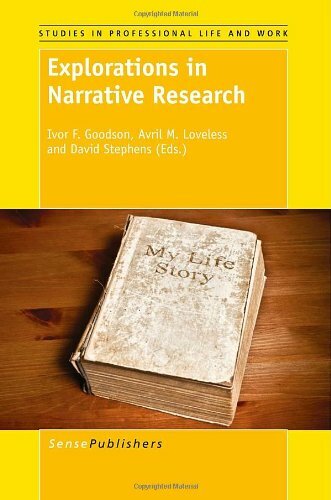 Available at: http://www.amazon.co.uk/Explorations-Narrative-Research-Ivor-Goodson/dp/9460919863 [Accessed January 30, 2014]. There has been a major ‘turn’ towards narrative, biographical and life history approaches in the academy over the last 30 years. What are some of the new directions in narrative research? How do narrative research approaches help us t o understand the world differently? What do we learn by listening to stories and narratives? How do narratives extend our understanding that other research approaches do not? This collection of work grows from a symposium organised to explore new directions in narrative research. What emerges is a fascinating, innovative and generative series of essays, generally exploring narrative enquiry and more specifically themes of culture and context, identity, teacher education and methodology. This book will be useful for students and researchers using narrative and biographical methods in a range of disciplines, including education, sociology, cultural and development studies. Haslett, SK, Skellern A, Chilcott M and Longman D. 2011. Climate change education through a blended learning Google Earth exercise. In: S. K. Haslett, D. France, S. Gedye (eds) Pedagogy of Climate Change. Chapter 9, pp. 112-127 HEA-GEES. Available at: http://www.gees.ac.uk/pubs/other/pocc/pocc.htm [Accessed March 24, 2014]. This chapter examines the use of Google Earth in a blended learning undergraduate geography exercise that examines climate change impacts in North Africa. The exercise asks students to manipulate and interpret Late Quaternary palaeoclimate data from a deep-sea core taken offshore Mauritania, which suggests that warm Atlantic sea-surface temperatures enhance Saharan aridity. With this relationship students then consider 20th century development of Nouakchott, Mauritania’s capital city, which appears to be increasingly suffering sand inundation in relation to global climate change. Google Earth images show this sand encroachment and allow students to examine environmental management practices being deployed in an attempt to arrest sand movement. A student survey indicates that they find Google Earth easy and enjoyable to use in academic study, and that they appreciate its potential in a number of topic areas, particularly global environmental issues. The main benefit of Google Earth in climate change education is the ability to view distant landscapes and climate change impacts from the classroom, and to explore them at different scales and from different viewpoints, but is probably most usefully employed in blended learning contexts.ndividual participants and connect sociability and interactivity. Case studies of learning environments within Second Life are presented in order to illustrate the use of constructed narratives by which varying types of student engagement are supported. This paper concludes that narrative is a mechanism that can bind communities of practice together and avatars are the device through which a personal narrative is implemented and which enables participation. Hudson, B. & Meyer, M.A. eds., 2011. Beyond Fragmentation: Didactics, Learning and Teaching in Europe, Verlag Barbara Budrich. Available at: http://www.amazon.co.uk/Beyond-Fragmentation-Didactics-Learning-Teaching/dp/3866493878 [Accessed March 29, 2014]. All European countries have different ways to teach learning and to learn teaching. In most European countries – except for the English-speaking countries – didactics is a university discipline. Though there are national and local differences in the practice of learning and teaching, this book negotiates through the disparities, finding common ground and creating new angles. In trying to move towards a more widely-shared approach to didactics in Europe, different European traditions are explored from the bottom up, by taking a closer look at various teacher education models and their empirical bases. The book analyzes whether there is an examplary shift from teaching to learning, and from research on teaching to research on learning. The importance attributed to subject matter didactics and lesson planning in teacher education – as well as the impact of information and communication technology on didactic design – are also discussed. Loveless, A., 2011. Didactic Analysis as a Creative Process: Pedagogy for Creativity with Digital Tools. In B. Hudson & M. A. Meyer, eds. Verlag Barbara Budrich, pp. 239–251. Kennewell, S., Parkinson, J. & Tanner, H., 2000. Developing the ICT Capable School. Routledge. Available at: http://www.amazon.co.uk/Developing-Capable-School-Steve-Kennewell/dp/041523512X [Accessed January 30, 2014]. This book helps readers to improve the development of ICT capability through understanding the factors at work in whole school contexts. Based on research that examined schools’ approaches to the development of pupils’ ICT capability and identified the factors which lead to success, it provides practical advice, but with clear justifications in terms of well-researched principles and illustrations. It covers issues specific to both primary and secondary phases of education together with a range of common concerns and will be of use to practitioners and school staff involved in planning and delivering ICT training. This title will therefore provide readers with: Greater understanding or personal ICT capability Knowledge of effective management, teaching methods and co-ordination strategies for ICT Understanding of the importance of a whole school approach. Leask, M., Burden, K. & Younie, S. eds., 2014. Teaching and Learning with ICT in the Primary School Routledge. 2nd edition. Available at: http://www.amazon.co.uk/Teaching-Learning-ICT-Primary-School/dp/1138783153 [Accessed March 21, 2014]. The new edition of Teaching and Learning with ICT in the Primary School introduces practising and student teachers to the range of ways in which ICT can be used to support and extend teaching and learning opportunities in their classrooms. Fully updated and expanded with brand new chapters reflecting the abundant changes in the field since the first edition was published, it offers practical guidance underpinned by the latest research and teaching in the field. It is illustrated throughout with case studies and examples together with a glossary explaining key terms. It focuses on how technology-based practices can support the teaching of individual subjects, as well as a range of teaching and learning styles. Loveless, A. & Williamson, B., 2013. Learning Identities in a Digital Age: Rethinking creativity, education and technology. Routledge. Available at: http://www.amazon.co.uk/Learning-Identities-Digital-Age-Rethinking/dp/0415675723 [Accessed March 20, 2014]. Digital media are increasingly interwoven into how we understand society and ourselves today. From lines of code to evolving forms of online conduct, they have become an ever-present layer of our age. The rethinking of education has now become the subject of intense global policy debates and academic research, paralleled by the invention and promotion of new learning identities, which are intended to incite teachers and stu dents to think, feel, and act as social operators in schools and beyond. 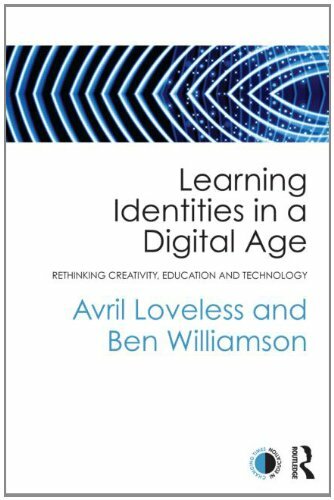 Learning Identities in a Digital Age provides a critical exploration of how education has been re-imagined for the digital future. It argues that education is now the subject of a “cybernetic” mode of thought: a contemporary style of thinking about society and identity that is saturated with metaphors of networks, flexibility, interactivity, and connectedness. This book examines how shifts in thought have translated into fresh ideas about creative learning, interactive tools, curriculum reform, and teacher identity. The text identifies how learning identities have been promoted, and position young people as networked learners, equipped for political, economic and cultural participation in the digital age. Peace, M., 2014. Web 2.0. In M. Leask, K. Burden, & S. Younie, eds. Teaching and Learning with ICT in the Primary School. Routledge; 2nd edition. Chapter 21. Potter, J., 2012. 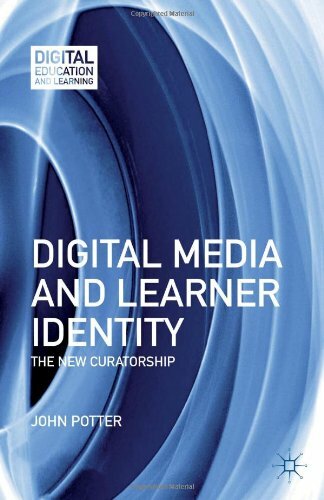 Digital Media and Learner Identity: The New Curatorship. Palgrave Macmillan. Available at: http://www.amazon.co.uk/Digital-Media-Learner-Identity-Curatorship/dp/1137004851 [Accessed January 30, 2014]. Turvey, K., 2013. Narrative Ecologies: Teachers as Pedagogical Toolmakers. Routledge. Available at: http://www.amazon.co.uk/Narrative-Ecologies-Teachers-Pedagogical-Toolmakers/dp/0415622433 [Accessed March 19, 2014]. In recent years there has been significant investment by policy makers in the potential of technological tools to transform learning and teaching. There are outstanding issues concerning the ways educators and professional practitioners harness the potential of technologies to innovate and develop pedagogical practice. With so much attention focusing on technologies themselves, the complexity of what it takes for practitioners to innovate and develop their own pedagogical practice can easily be overlooked. This book promotes a teacher-centred model of professional development and practice; a model that promotes teachers as active agents as they draw upon a range of factors within a narrative ecology framework to inform their development of pedagogical tools. The combination of narrative methodologies with ecological theories offers a more nuanced view of teachers’ professional learning and this study provides an innovative methodological approach to narrative research, supported by an empirical evidence base which crosses educational and socio-cultural contexts. Younie, S. & Leask, M., 2013. Teaching with Technologies: The Essential Guide. Open University Press. 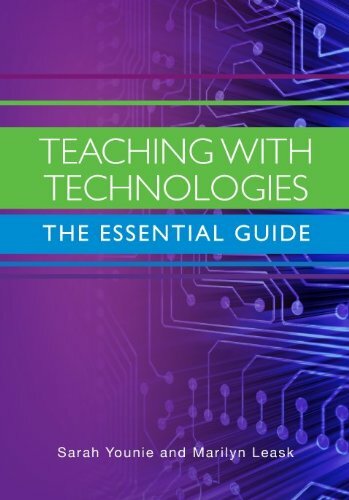 Available at: http://www.amazon.co.uk/Teaching-Technologies-The-Essential-Guide/dp/0335246184 [Accessed January 30, 2014]. This book provides a baseline for effective technology practice, offering a comprehensive overview of theory, research and practice. In particular the book brings together research findings to provide an evidence based approach to using technology in the classroom; provides an understanding of how technologies can and should inform teaching and learning; and highlights effective practice As well as capturing the extensive developments in this field over the last three decades the book identifies ‘what works’ with technology and education. There is detailed consideration of how technology can enhance learning and inform pedagogic approaches together with examples. This not only informs but, most importantly, allows teachers to develop their practice in order to incorporate and exploit the affordances of educational technologies, providing a sound theoretical underpinning to classroom practice with technologies.